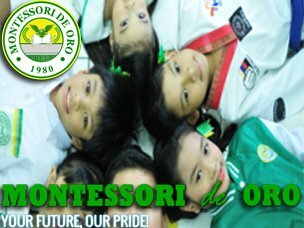 Montessori de Oro - Syntactics Inc.
At Montessori de Oro, you will discover the excitement, challenge, and energy that is uniquely ours- and an environment that encourages risk and rewards exploration. Located on two separate campuses, we work as one school in the pursuit of excellence. We celebrate the diversity of our community which enriches our daily experience. MDO nurtures a compelling atmosphere of profound and lasting growth. MDO is a close-knit community.